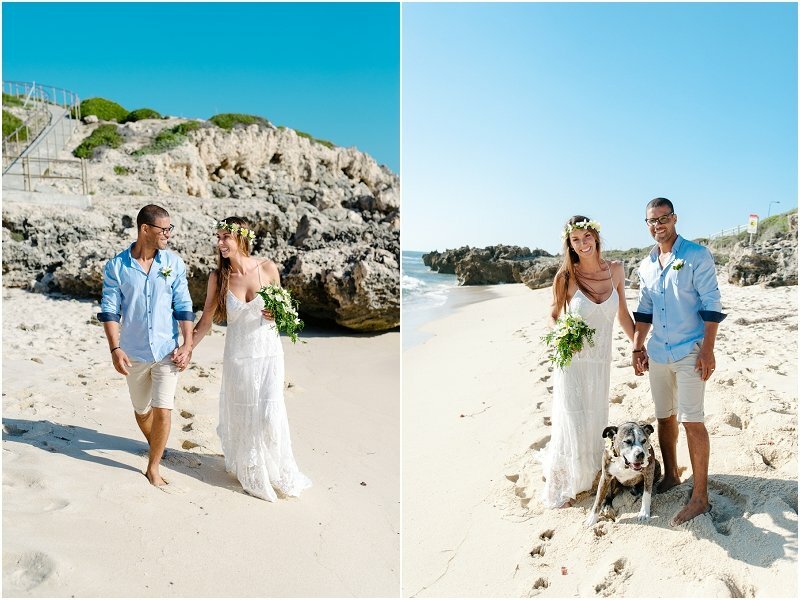 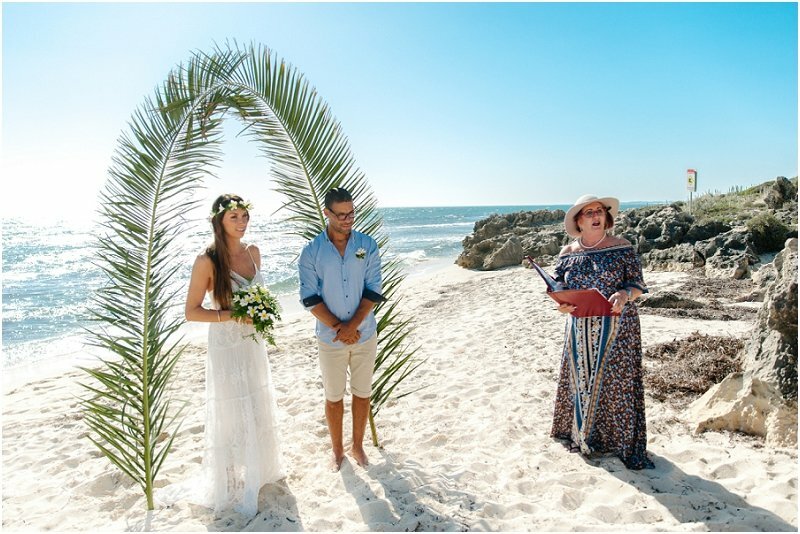 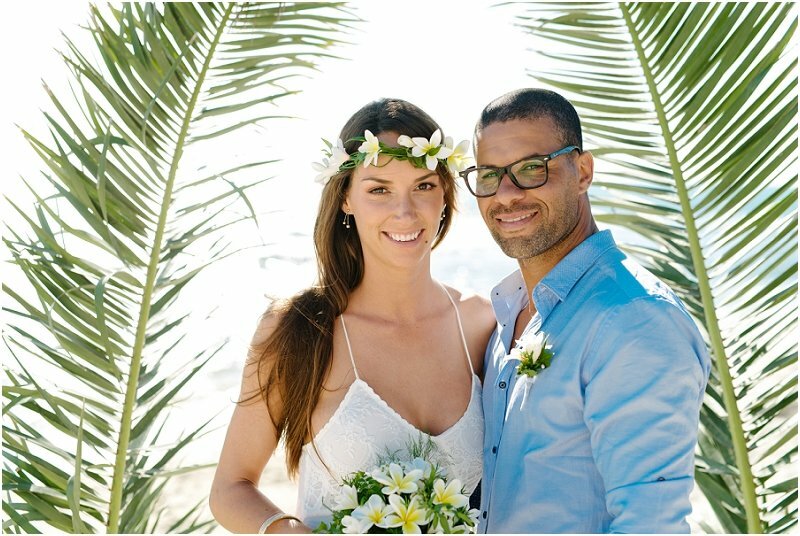 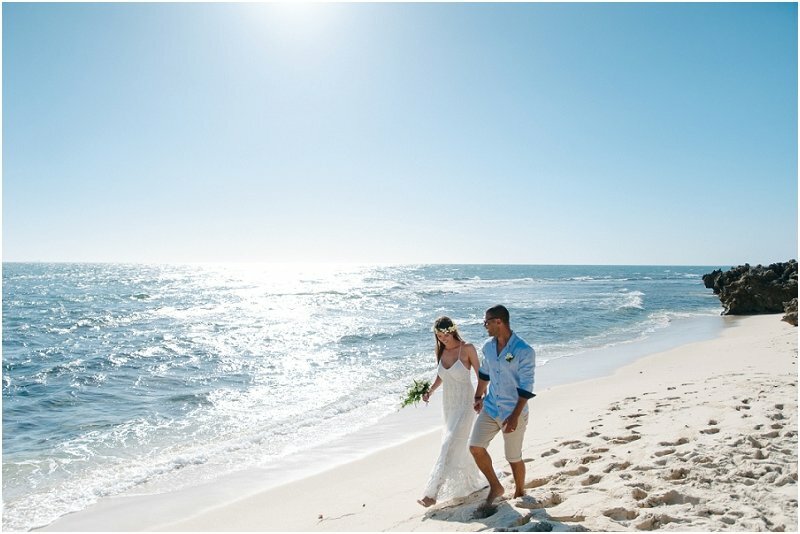 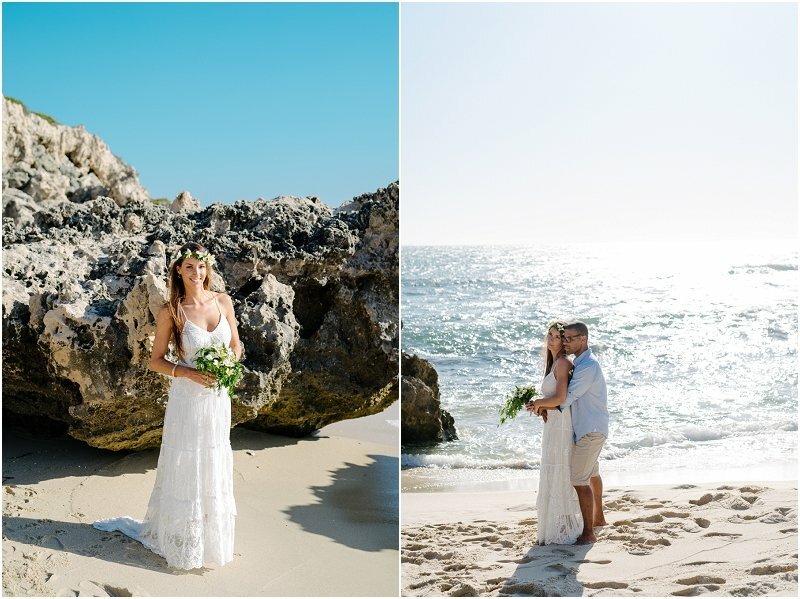 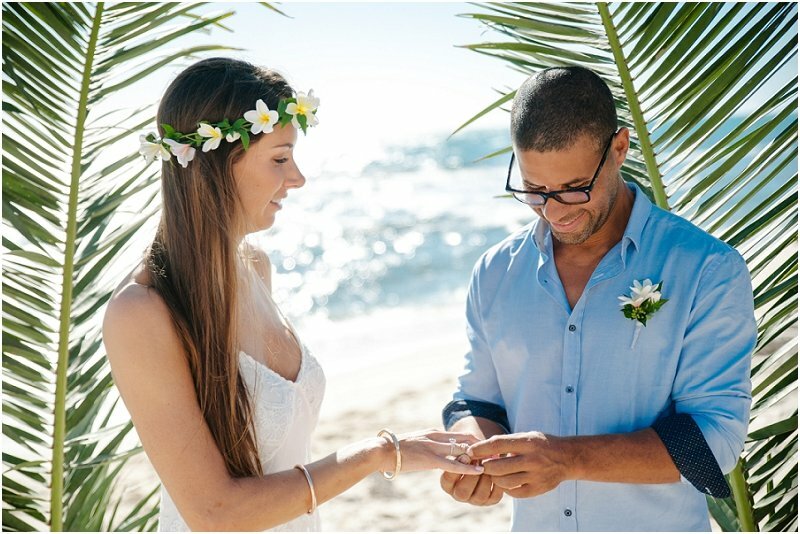 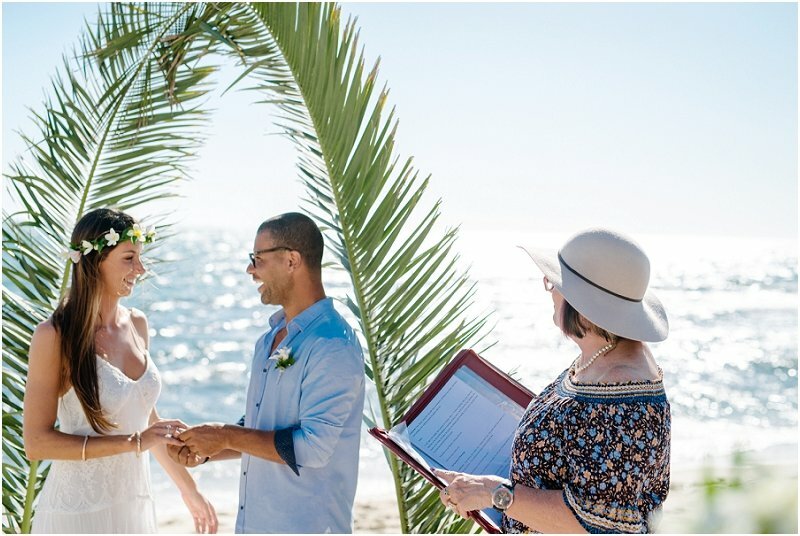 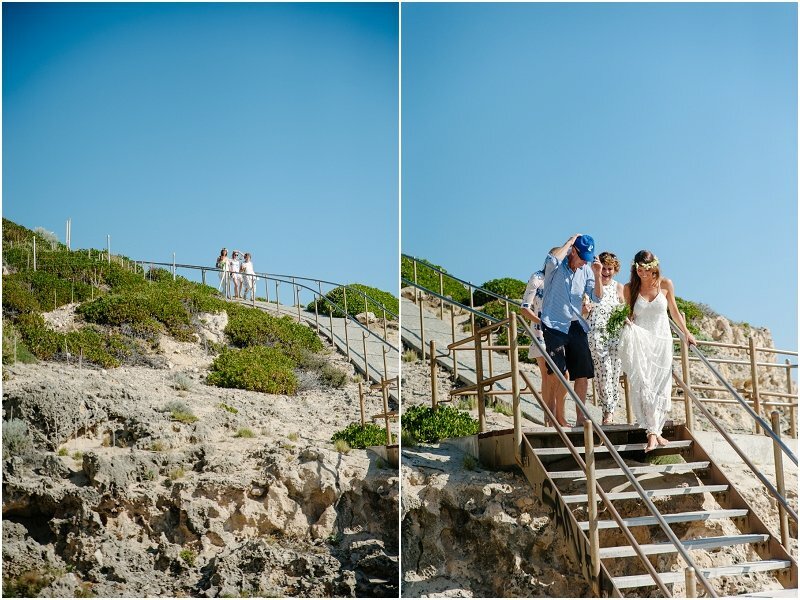 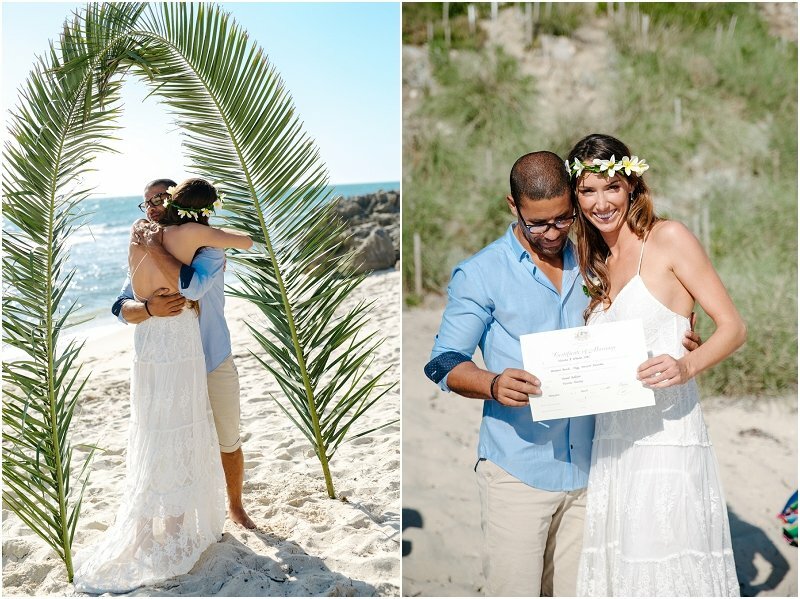 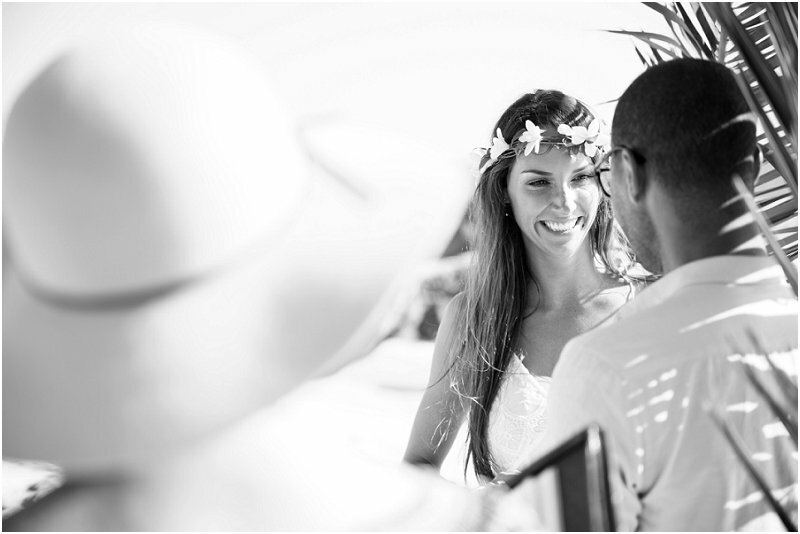 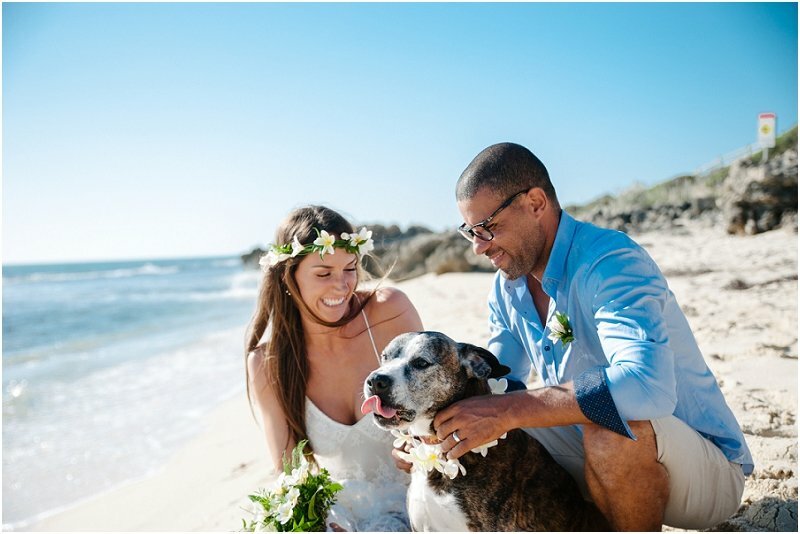 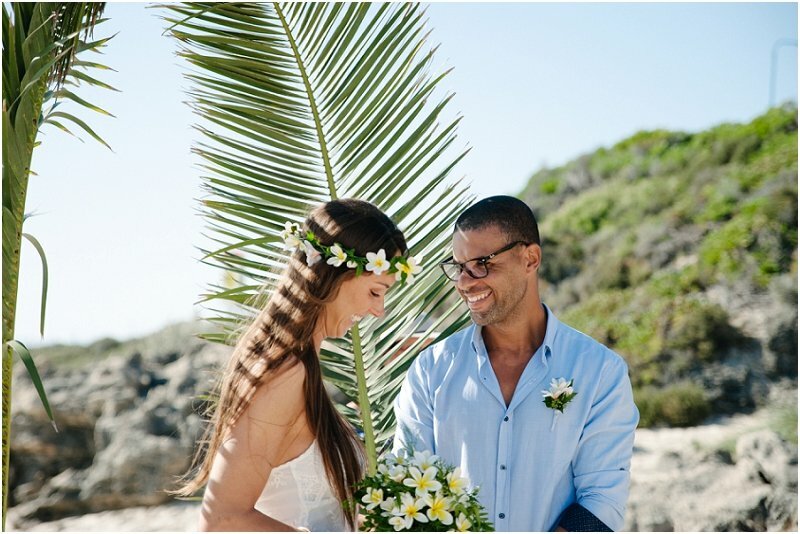 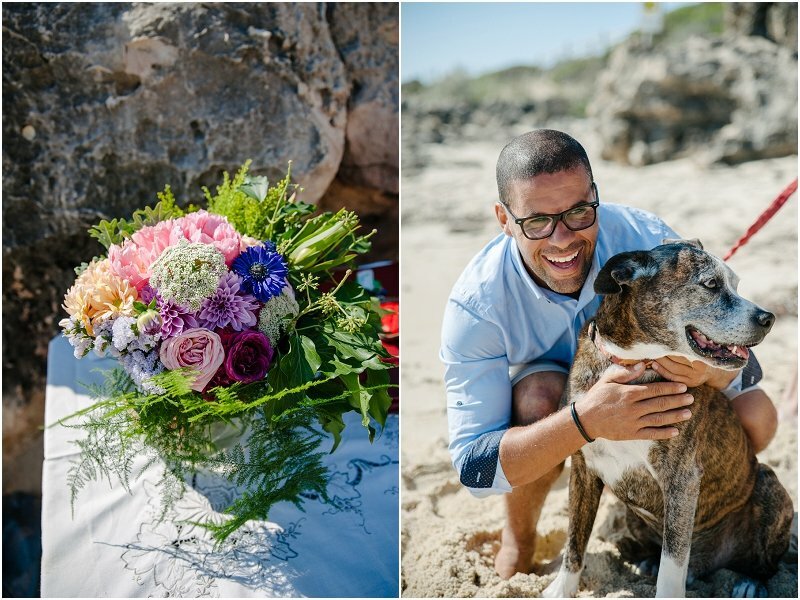 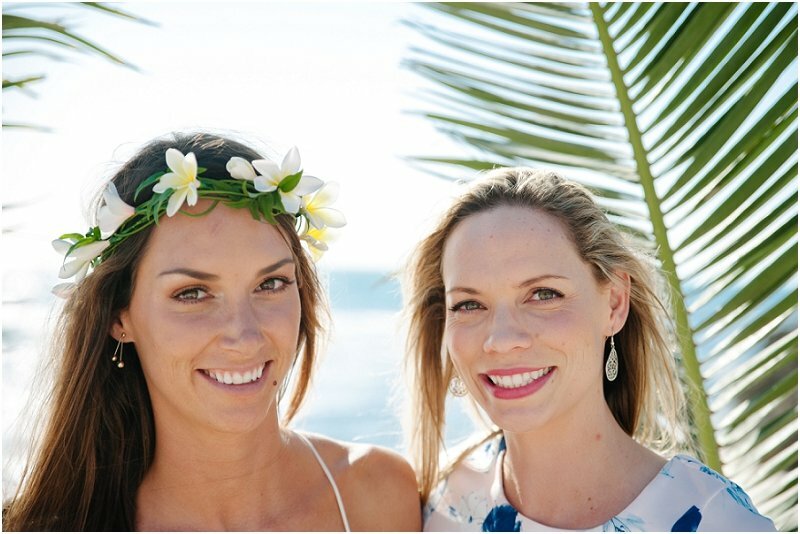 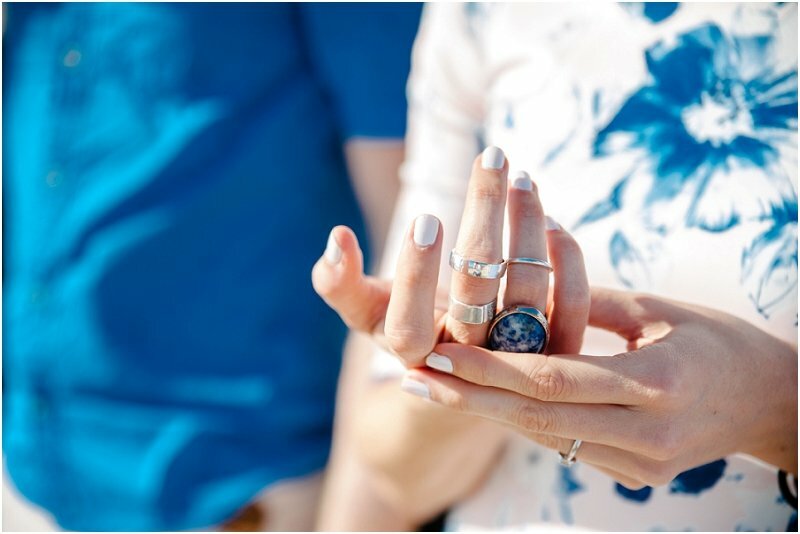 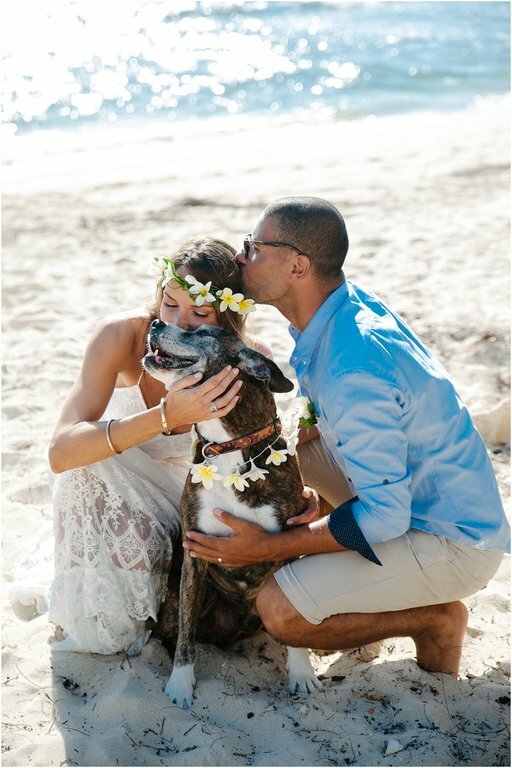 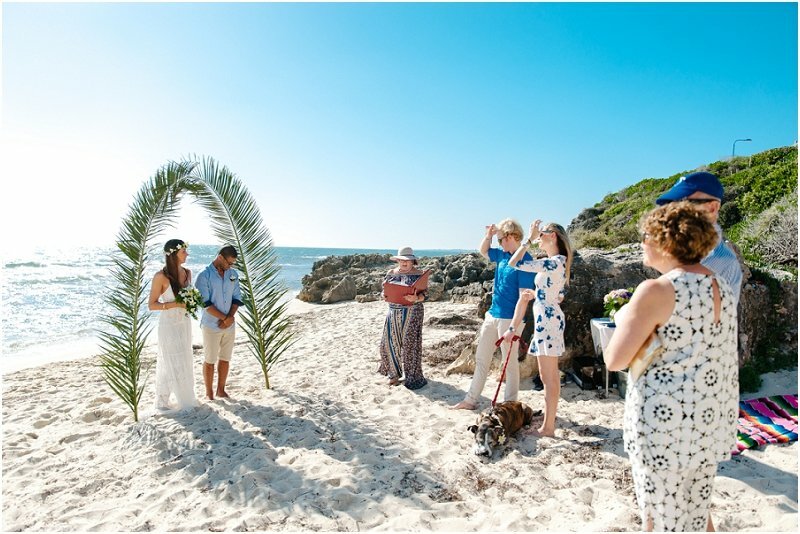 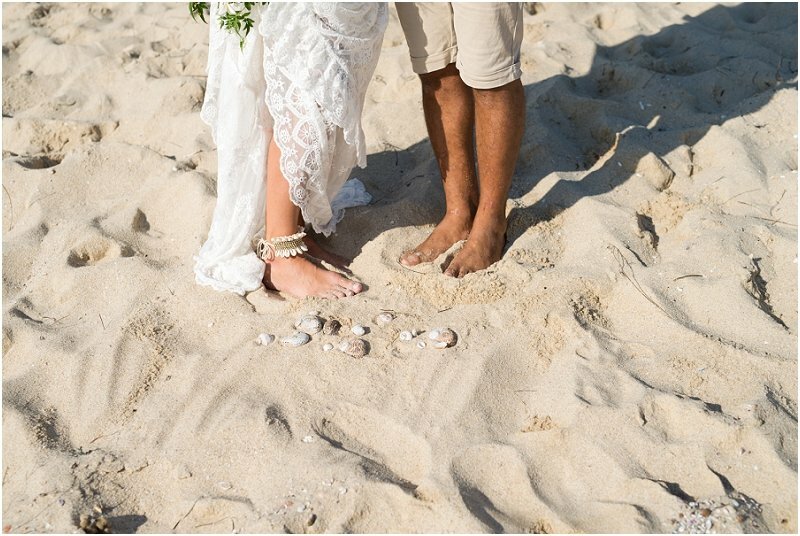 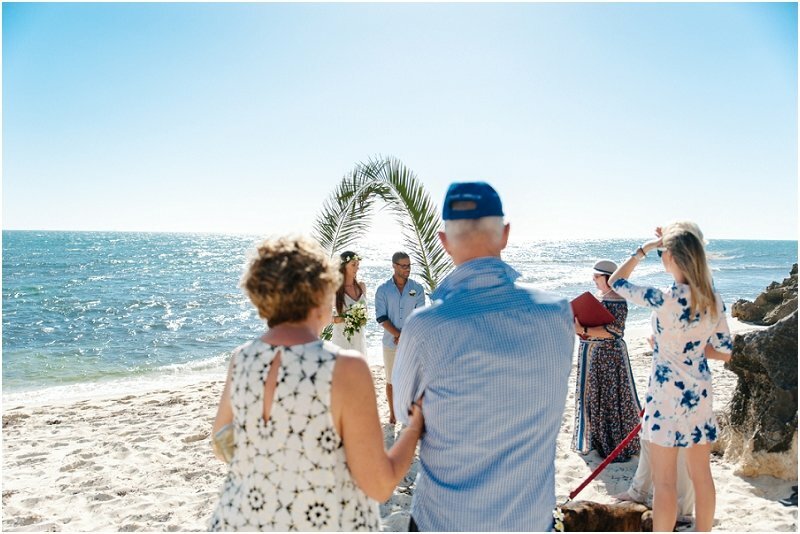 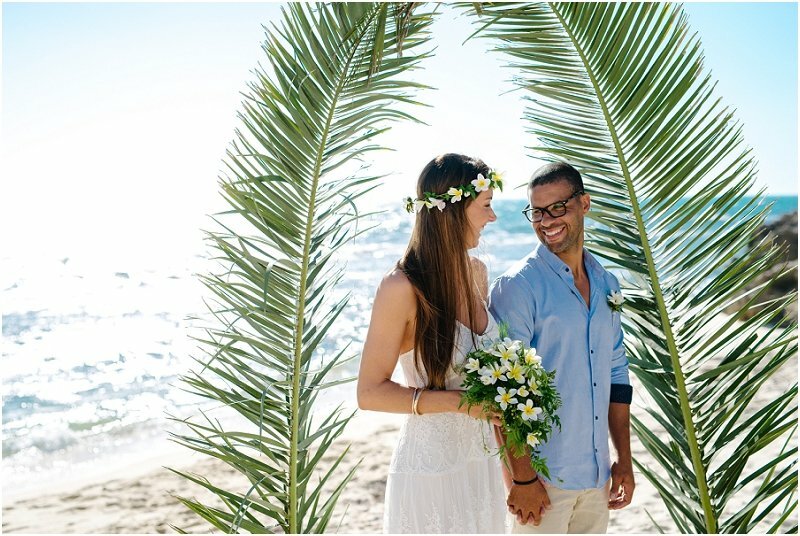 This gorgeous couple is into beach life, and beach sports, and originally wanted to go to Bali for their wedding, but in the end decided to bring Bali to Perth. 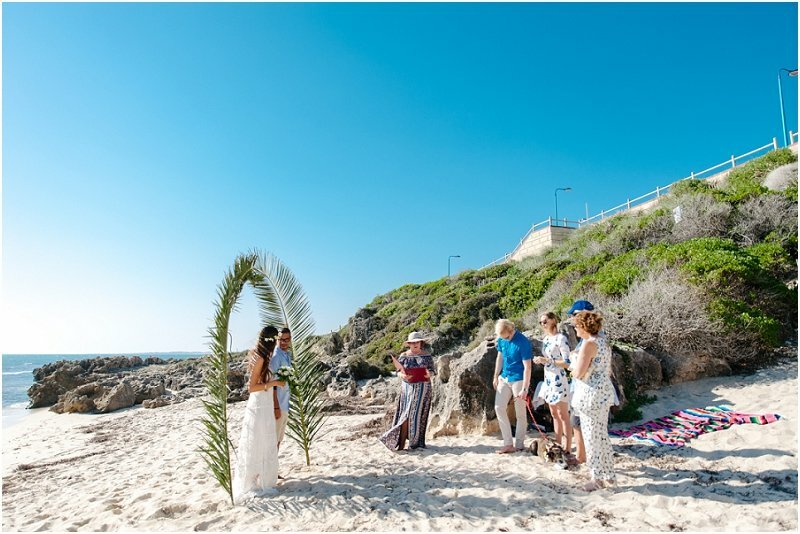 This was an intimate event at one of Trigg's smaller beaches, with luscious palm branches and sunny frangipanis, and one much loved dog. 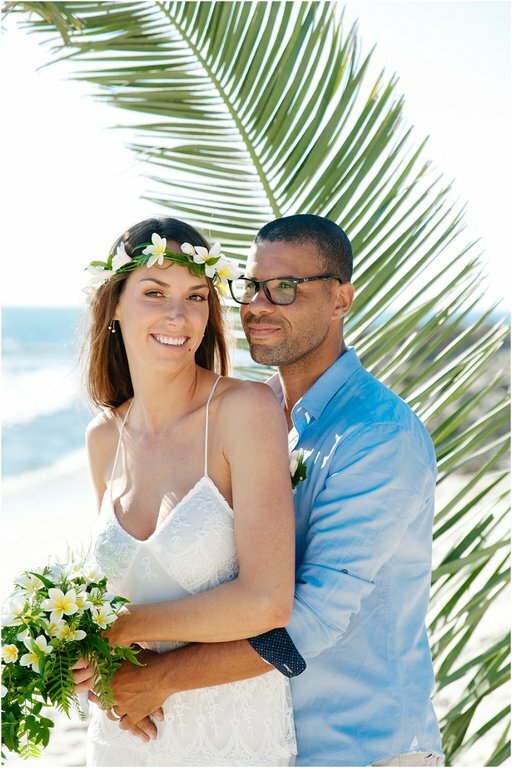 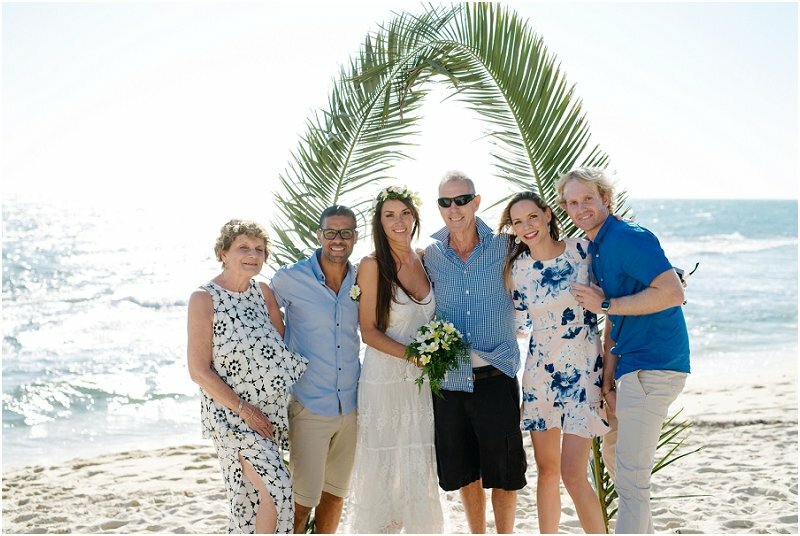 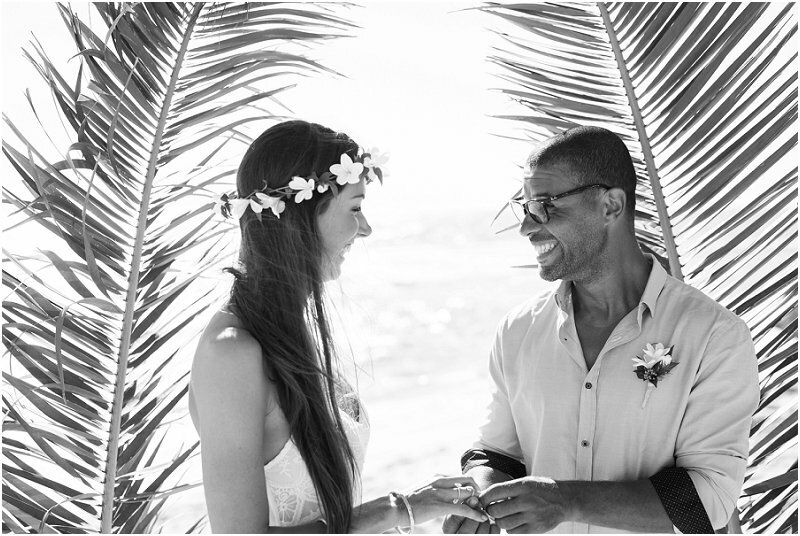 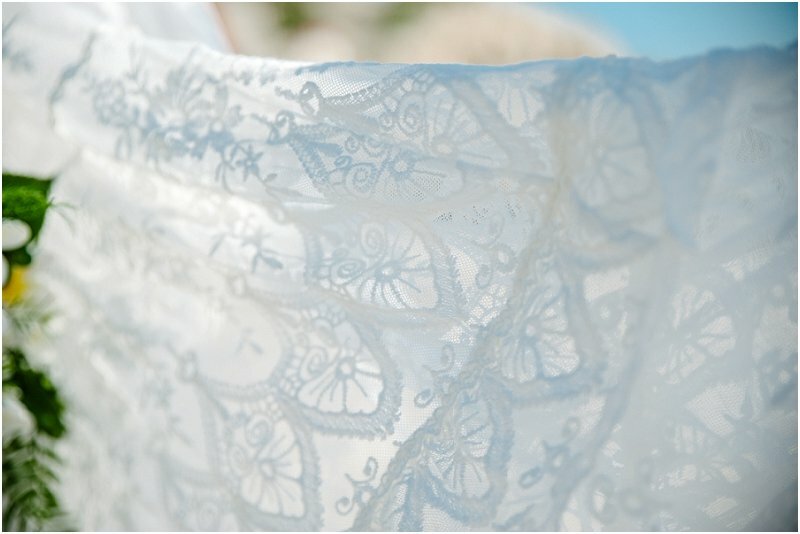 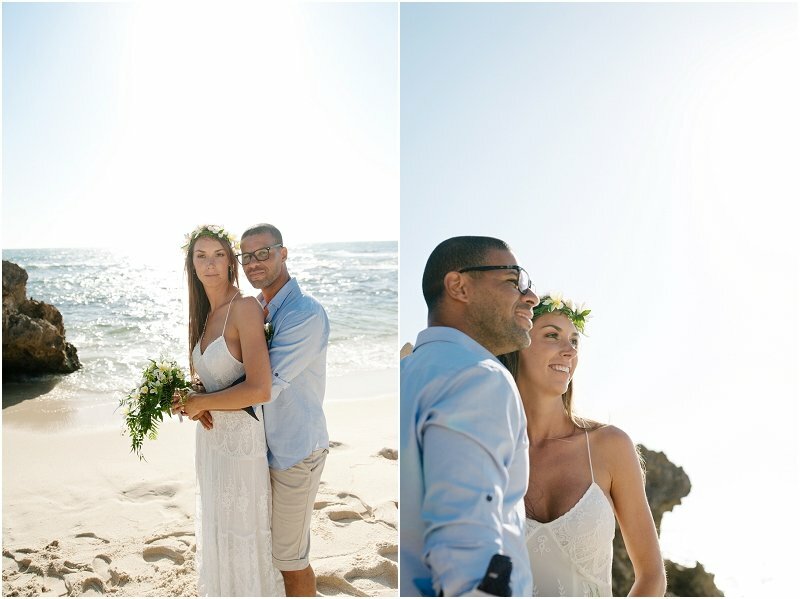 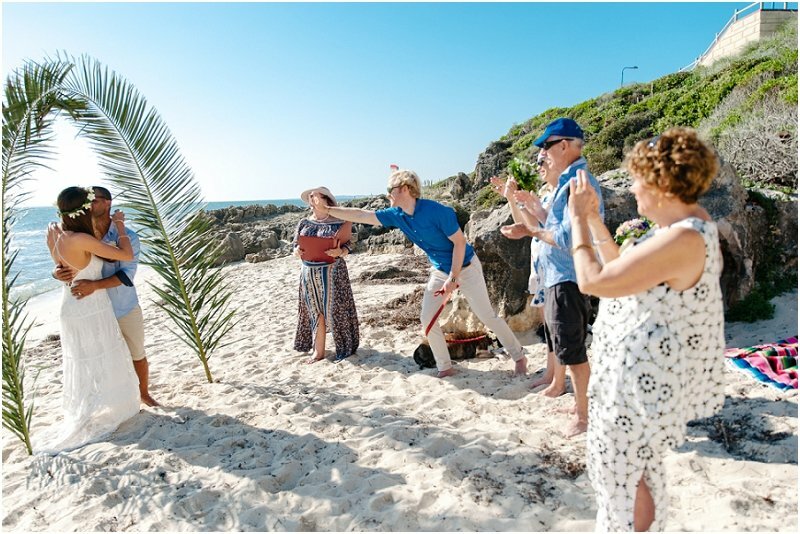 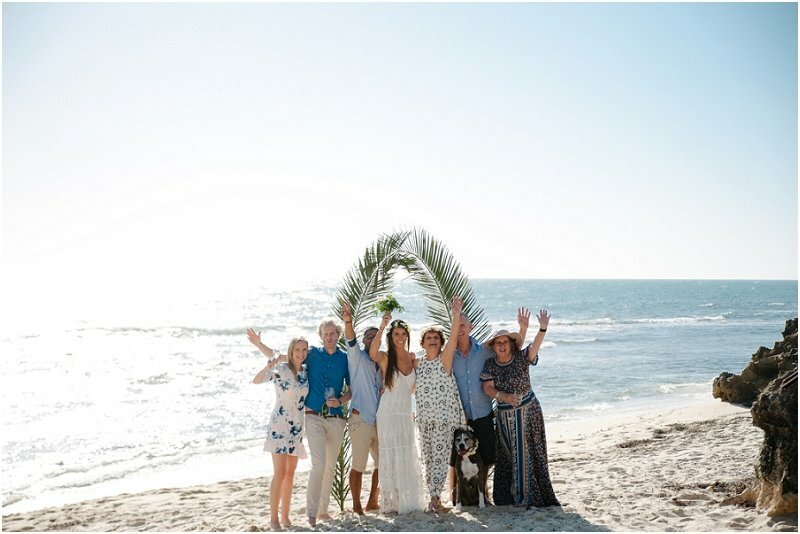 Knowing the bride and groom have a lot of family overseas makes it even more important for us to know we captured the right atmosphere and emotions.